A hot topic this week was Mike Shatzkin's post on the future of book stores. It really stirred the blogging pot and many predictions were made. Many believe e-books will own the majority of the market share in just 5 years. Two opinions I found intriguing: Nathan Bransford's and Erik Blank's. And I agree, just as the music world has gone digital, it's going to happen to publishing. 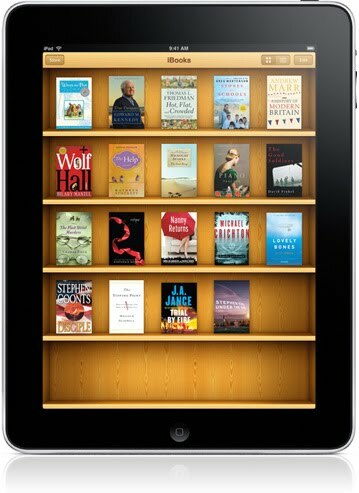 Which begs the question: do you own an e-reader or are you thinking about getting one? I don't (because I love the feel and smell of a hard back in my hands--it's all part of the reading experience for me). But I admit, I'm thinking about it. Why? Because I view it as building my platform. If the industry is moving that way, so should I.
PubRants explains how to read Bookscan numbers for your book. Rachelle Gardner explains what comes out of your pocket when your book is published. Once your book sells to a publisher, Chip MacGregor explains when you get paid. Stroppy Author breaks down Accounts in a publishing contract. Inkygirl links to her updated Writer's Guide to Twitter (very helpful). Books & Such cautions not to spend all your time twittering or facebooking--it can be a career killer. You might have a great platform but you have to actually write a story to get published. Alan Rinzler also recommends keeping your background clean. Agents and publishers often do a background check (via Google, YouTube, blogs, Bookscan, etc.) before signing. Guide to Literary Agents gives do's in a nonfiction proposal. BookEnds gives some query don'ts. Stet explains why writers must wait. It is a frustrating but necessary part of the gig. Rachelle Gardner says rejection isn't always about your book. Leah Crichton over at Adventures in Children's Publishing recommends loving your novel enough to rewrite it. Plot Whisperer offers a plot planner. The Blood Red Pencil lists fabulous self-editing links. C Patrick Schulze reminds us that good writing is in the details. TalktoYoUniverse says you need to know your characters inside and out. Janice Hardy asks if sending a hero to rescue your protag is a cop out? She has ideas to help your protag help himself. Hopefully none of these query taboos apply to you. Oh and Janet Reid also loves audio queries. Need a cool book club? Then check out The Rumpus. Publisher's Weekly raves about them. Just a comment on e-readers. Yes, I have one, and I still buy "regular" books. My partner, a retired English Professor, didn't think much of the Kindle when it came out, but knows I travel a lot, and thought it would be useful for me to have one. So a month after the first Kindles were released, he surprised me with one for Christmas. I found it very easy to use, easy on the eyes, and it did, in many ways, feel like a "real book". Said partner decided (maybe 15 months later) that he wanted to try reading an entire book on my K. He chose The Story of Edgar Sawtelle, a quite long book, so he could really experience e-reading. Before he was finished with Edgar on my Kindle, he had ordered his own. He has found that reading long books is so much easier, especially reading in bed at night, than having a heavy book on his lap. And he probably orders more e-books that I do at this point. That said, we still have thousands of books in our house, and still order a good mix of both e-books and paper books. We think the Kindle has many advantages over collecting more and more books to move (we just moved half of our 4000 books and will have a great book sale soon). Try an e-reader, for an entire book, and see what you think!